Borussia Dortmund are mourning the passing of club legend Alfred 'Aki' Schmidt, who has died at the age of 81 following illness. 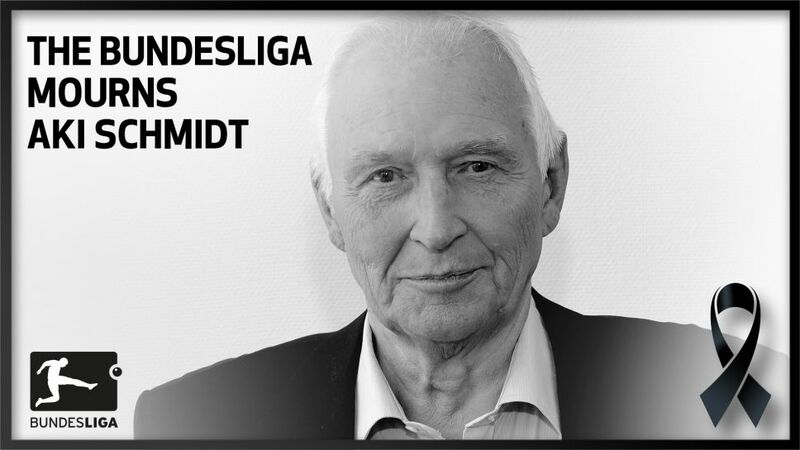 Widely regarded as one of the greatest players in the club’s history, Schmidt helped BVB to the German first-division title in 1957 and 1963. He also captained Borussia to the DFB Cup in 1965 and the European Cup Winners’ Cup the following year. "Borussia Dortmund are deeply saddened by the loss of a great Black and Yellow," said club president Dr. Reinhard Rauball. "After his playing career he worked as a coach, was involved in fan affairs at BVB, took visiting groups on stadium tours and played an active role in the BVB Council of Seniors. That he has departed so suddenly deeply affects us all." CEO Hans-Joachim Watzke added: "This is an immensely sad day for the entire BVB family. I have fond memories of the numerous highlights that this incredible footballer provided and of the wonderful moments that we spent together in more recent years. We will all miss him terribly."